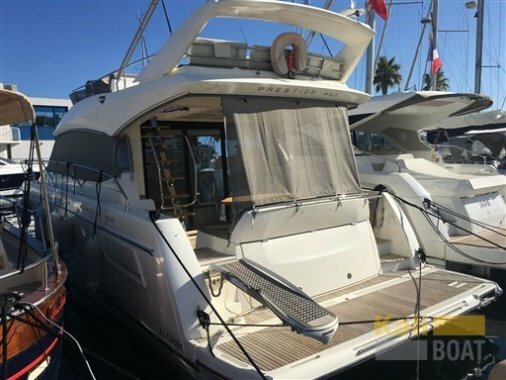 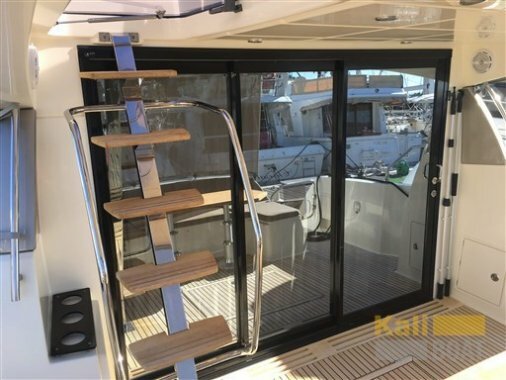 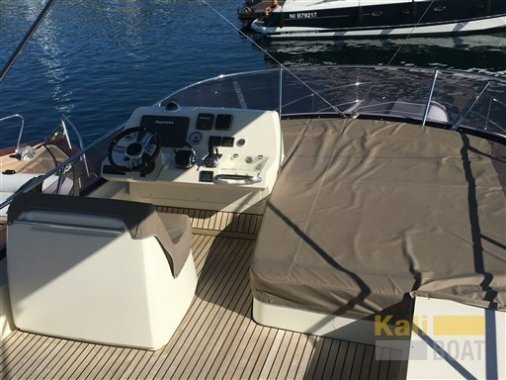 Opmerkingen: This Jeanneau Prestige 450 Fly is a well-designed unit including the size and layout of the fly. 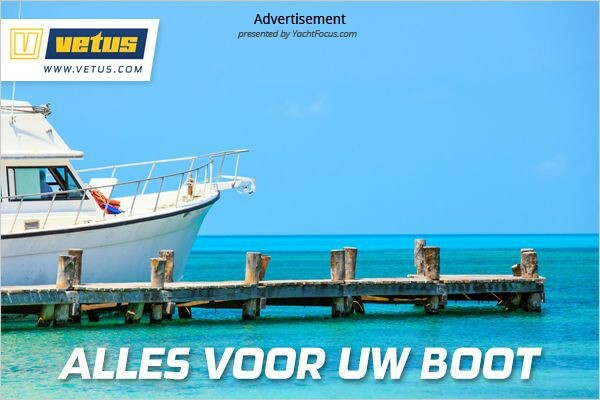 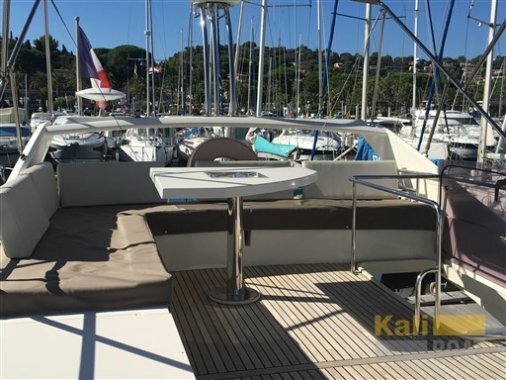 Boat in excellent condition with lots of options. 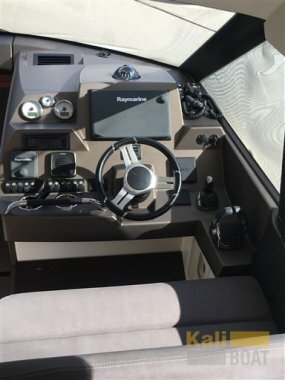 Boat followed and maintained summer and winter by professionals price to decline to enter Electronic tools for navigation: Rudder angle indicator, Radar Antenna, Electronic engine control, Chain counter, Joystick, MeteoFax, Plotter with GPS antenna, Sonar. 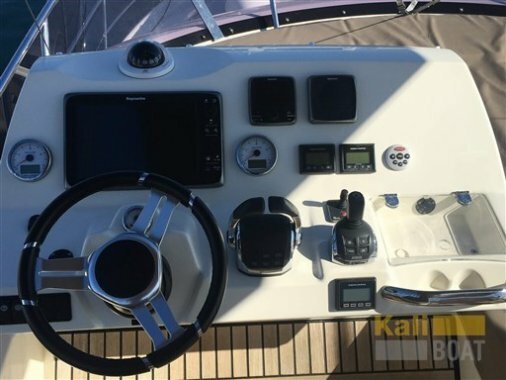 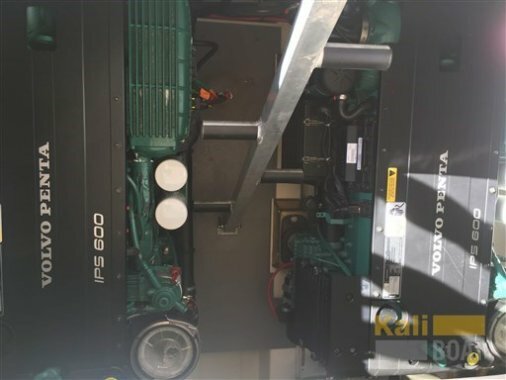 Staging and technical: Engine Alarm, Bilge Alarm, 2 Anchor, Water pressure pump, Deck Shower, Twin Steering, Electric Flaps, Courtesy Lights, Gangway (opacmar), Platform, Automatic Bilge Pump, Manual Bilge Pump, Teak Cockpit, Shorepower connector, Water harbor connector system, Ripetitore strumentazione, Electric Windlass, swimming ladder, cockpit table (reglable), Tender (avec dérive gonflable). 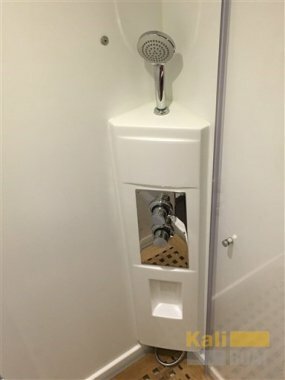 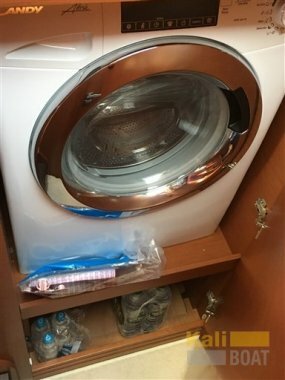 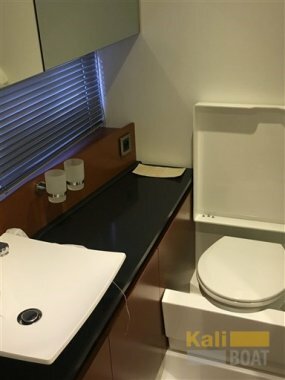 Domestic Facilities onboard: Warm Water System, Waste Water Plant, 12V Outlets, 220V Outlets, Electric Toilet. 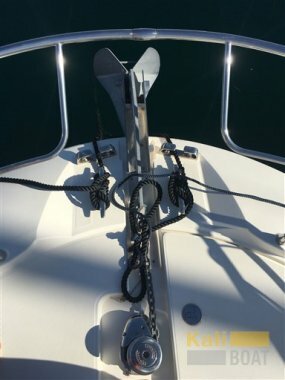 Security equipment: Barometer, Safety equipment within 6 miles (Partiel), Emergency Handheld Fires, PFDs, Lifebuoy With Safety Rope and Light Buoy. 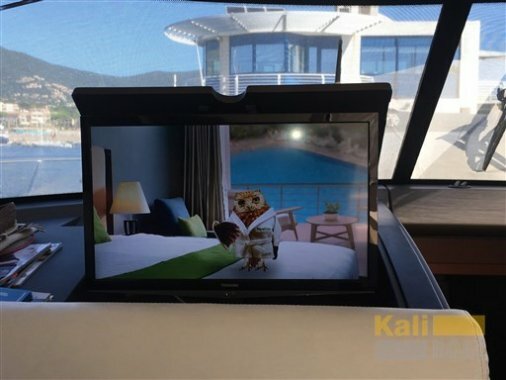 Entertainment: Speakers, DTV, Radio AM/FM, Hi-Fi. 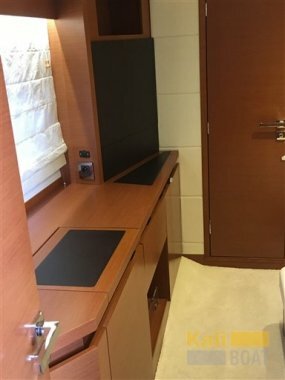 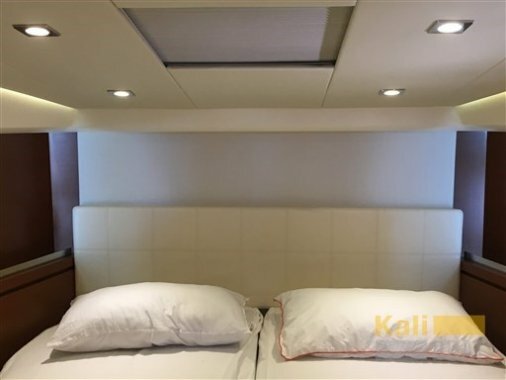 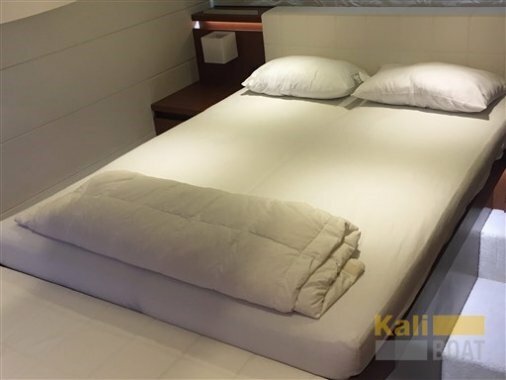 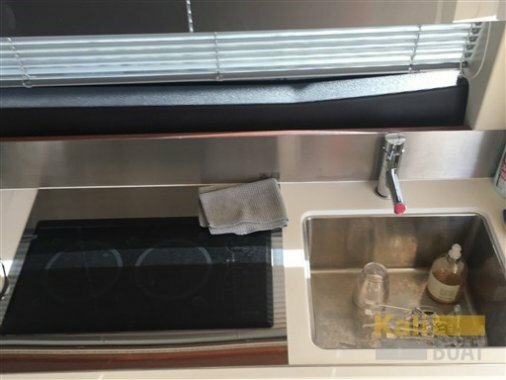 Kitchen and appliances: Galley, Mechanical Refrigerator, Washer dryer, Dishwasher, Coffee Machine, Ceramic hot plate. 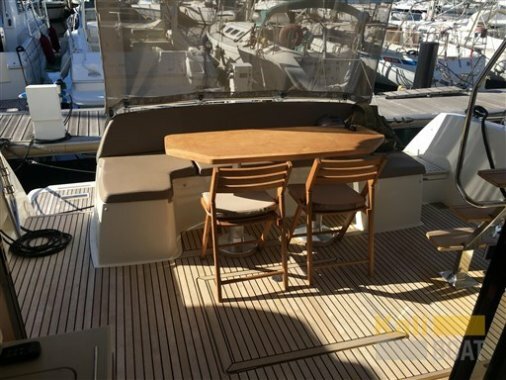 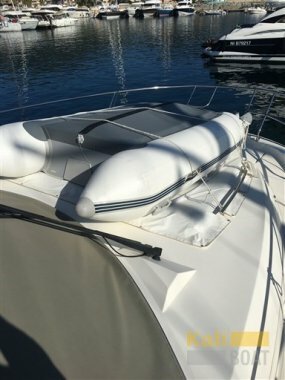 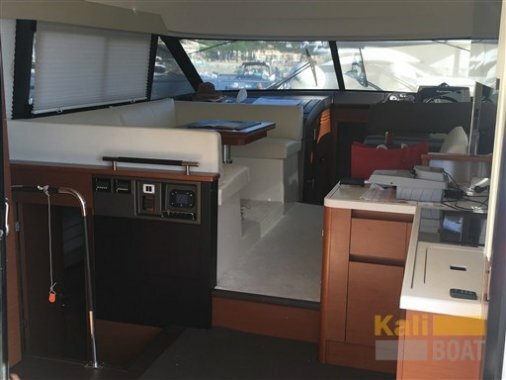 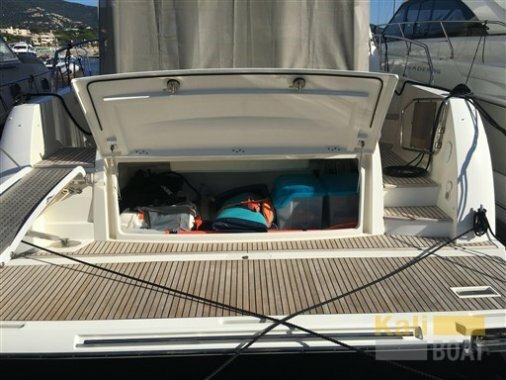 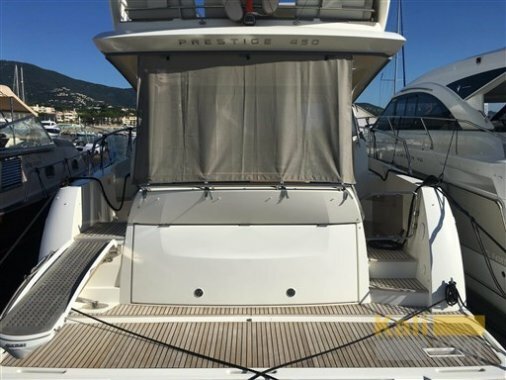 Upholstery: Bimini (au Fly), Cockpit Cover (ombrieres), Hull Cover, Cushions, Stern Cushions, Bow Cushions, Fly Bridge Cuscions, Cockpit Cushions, Window Cover (ombriére), Instrument Cover, Seat Cover, Sunshade.